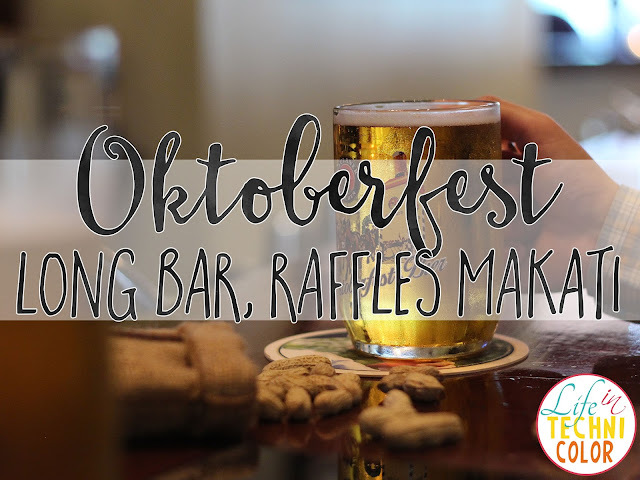 Come celebrate Oktoberfest with unlimited beer, cocktails, and more at Long Bar, Raffles Makati! Enjoy free-flowing beer, unlimited house pour liquors, and endless cocktails at Long Bar for only Php 695 per person this October! 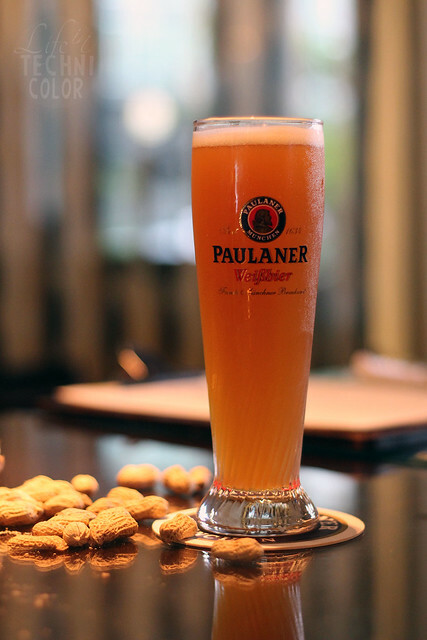 The Bavarian-inspired Happy Hour features Paulaner's Oktoberfest Bier, which is brewed especially for the season. But it doesn't stop there. 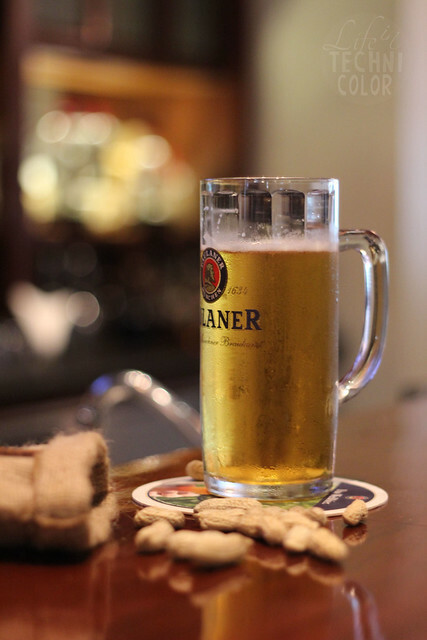 Long Bar is also offering the dark Paulaner Dunkel, their premium lager Münchner Hell as well as some local and imported brands as part of the celebration. 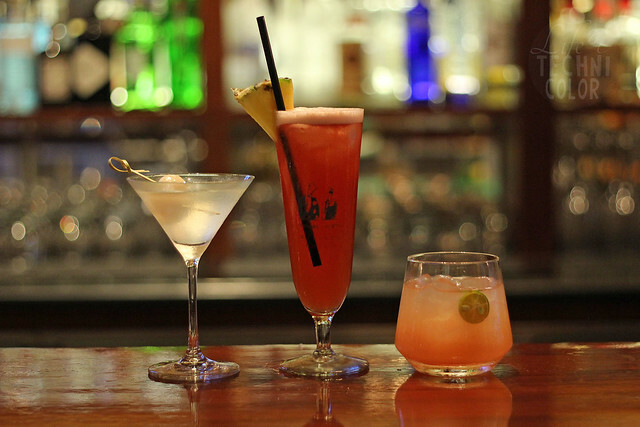 For the cocktails, try their Classic Singapore Sling, Lychee Martini, and Rain or Shine. I ordered all three - thanks to Orman "The Man" Bag-ao for making my drinks - and my favorite? The Rain or Shine, which is a mix of Bacardi Casablanca, carrot juice, guava juice, lime juice, sugar syrup, and fresh mint! This Happy Hour offering is available from 5pm to 8pm, but in case three hours isn't long enough for you, you can always add Php 300 to extend it until 10pm! So that's Php 995 for a total of five hours of unlimited drinking! 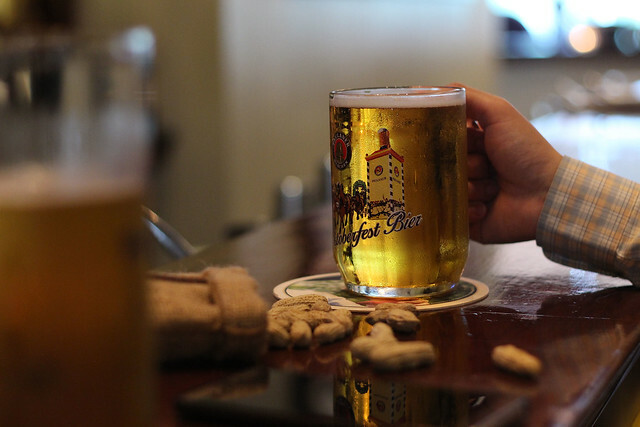 But let's face it, man cannot live on beer alone. 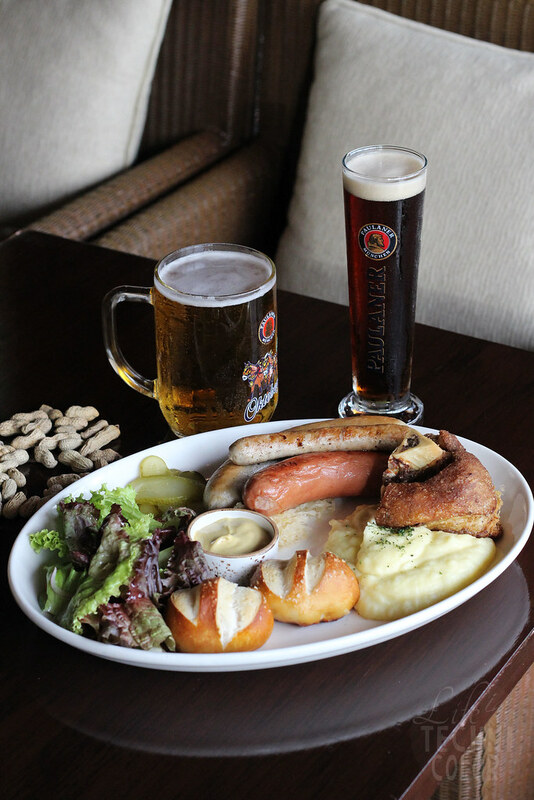 So I suggest you get an order (or two) of the Pork Knuckle and Sausage Platter! 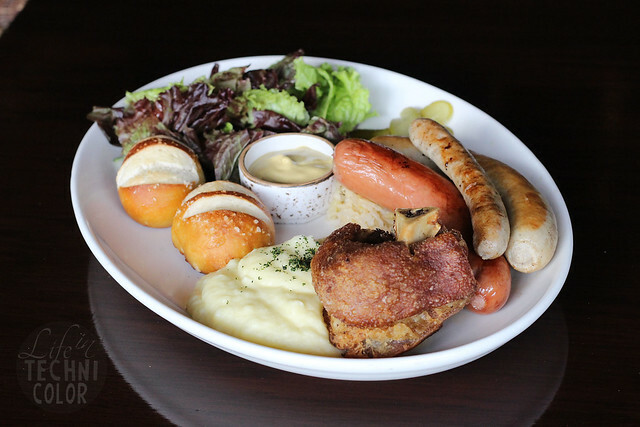 For Php 1,250, you get a platter of Schweinshaxe, veal Bratwurst, Thuringer, Frankfurter, apple strudel, classic pretzel, mashed potato, sauerkraut, pickles, and mustard good for two persons! 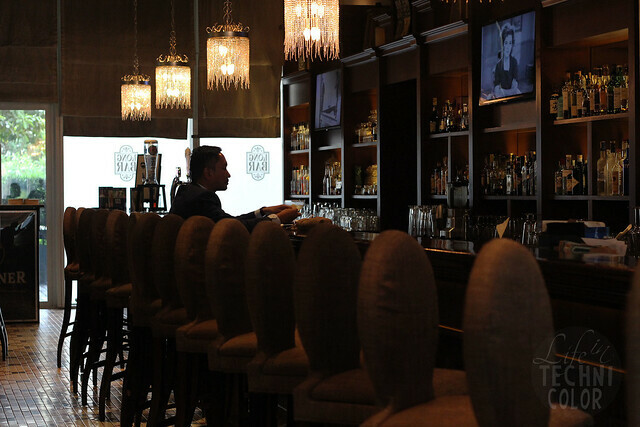 Long Bar is located at Raffles Hotel, 1 Raffles Drive, Makati City.